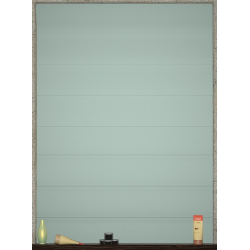 Take a look through our gorgeous range of fabric blinds. All our fabrics have been hand selected to ensure that you are receiving the highest quality and style for your home’s interior. We make sure that all our blinds use these quality materials, as we know that once we send out our fabric blinds, they will last. 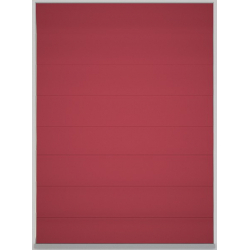 Our fabric blinds will help you make a statement and with clean lines, you can keep your room looking fresh. Fabric blinds allow for a better amount of practicality over curtains, this mainly being down to the fact that they can be cleaned with ease. Simply using a damp cloth and some warm soapy water, unlike curtains which require a disassembly and a trip to the dry cleaners. Some of our fabrics do have a special coating which help to protect against spills and dirt. Not only this, but it gives the blind a thermal property and glare reduction. Within our great range of fabric roller blinds available in both patterned or plain designs. Not only do they offer a lot of style, but they also give you maximum control over the amount of light and privacy you have in a room. Whether you want a bright green or a simple white fabric blind, we have the right set of fabric blinds for your home’s interior. Roman fabric blinds are the perfect and most luxurious blinds currently available to be purchased. With many people opting for these over the traditional curtains or voiles. Our range of roman fabrics are simply stunning and are definitely worth looking at! With a number of great patterns and colours to choose from, we are confident you will find the ideal fabric blinds to compliment your interior. 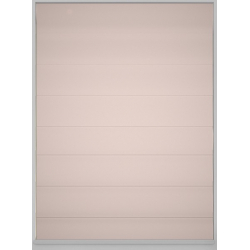 Being both practical and stunning, our range of fabric vertical blinds can really help to bring a room to life! With the practicality of being able to control the amount of light that enters a room, as well as offering maximum privacy when needed.